Barcelona president Josep Maria Bartomeu said the LaLiga champions cannot imagine life without superstar Lionel Messi. 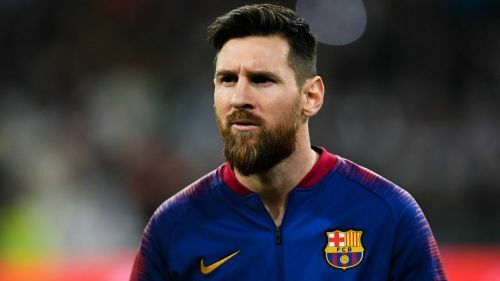 Messi has established himself as the greatest player in Barca's history following his debut in 2004, becoming the club's all-time leading goalscorer. The 31-year-old signed a new contract with Barca in 2017 and while Bartomeu knows the Spaniards must prepare for the post-Messi era, he is ready to finalise another renewal. "At the moment we cannot imagine it, but we have to prepare for it," Bartomeu told Marca. "It will be a very different Barcelona, we have to look for young talent. "Leo has a contract until 2021 and we will also do another renewal. He has the ambition to win titles." Messi has enjoyed another fine season as Barca compete for honours on three fronts in the closing months of the season. The five-time Ballon d'Or winner's league-best 25 goals has Barca seven points clear atop LaLiga, while he has scored 33 times in all competitions to help Ernesto Valverde's side into the Champions League last 16 and Copa del Rey final. "There is a lot left to go, but the objective is the treble," Bartomeu added. "I see the players and coaches are motivated and also the directors, many years ago, the supporters were pessimistic. "The presidents have influence, but we have had great players. We have also had coaches who have had a lot of success."